How to provide your customers with safe, natural products that stay fresh for weeks after opening? Tea and coffee products have become a way of life for legions of people. How to prepare your brand to meet the demand? How to make your restaurant capitalize on the smoothie trend with a system that is quick, cost-effective, safe, and consistent? Bag-In-Box provides solutions that help to maintain the freshness of your products in the safest, most natural, economic, and sustainable way possible. 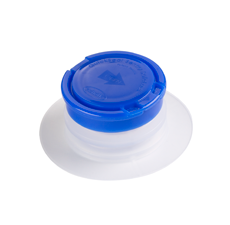 QuickSeal Sentry SafeLock™ is an aseptic-capable fitment that offers safety and end-use convenience with simple hose or direct-connect functionality within closed-loop dispensing systems. This fitment offers additional benefits to end users who need to safely remove product from the dispenser during cleaning operations. 1900™ provides a safe and economic closed-loop option for pump-out dispensers using a screw-in connector to a two-position cap. 1400™ is a single-position, hand-removable cap option that makes it easy to pour the liquid product into dispensers or other containers. 8100 / 900 combination is a two-position fitment with a hand removable, 38mm threaded cap for reseal-ability, and a removable secondary plug as tamper evidence. 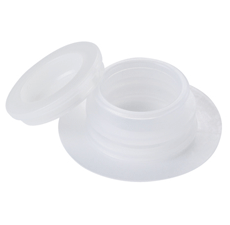 The primary method of dispensing through this fitment is pour from package. FlexTap® - one of the most-used Bag-In-Box taps on Earth. The newest commercially available generation of taps. 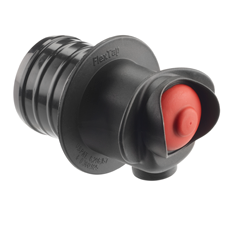 FlexTap® offers push-button gravity dispensing with automatic shutoff, flow rate control and superb ergonomics. It is designed primarily for final consumers and mostly used in retail packaging. 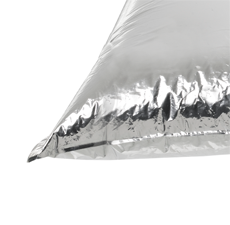 Metalized HyBar® film provides the necessary oxygen and light barrier for products and, depending on its modification, is suitable for ambient or hot-fill, as well as aseptic applications. Transparent ClearShield™ is a clear, multilayer coextruded barrier film, developed to provide strong seals, as well as overall package toughness and oxygen protection. 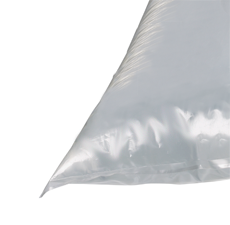 Depending on its specification, ClearShield™ films can be used in both hot fill and aseptic applications. FlexiTech™ is designed to protect your product with strong seals and robust performance throughout the supply chain. 1900 T and 1900 L connectors are designed for dispensing non-particulated food and non-food products. 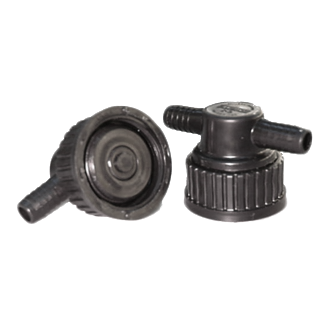 This screw-on connector has a shut-off to vacuum feature when disconnected for use with auto pump out systems. With the T connector, multiple bags can be connected in parallel to one product line. Can your beverage business reach its market potential without a turnkey packaging supplier that can provide a wide range of fitments, sizes, film structures, and equipment tailored to your specific needs? Allow tea, coffee and dairy drinks to be dispensed by-the-glass for on-premise accounts like hotels, restaurants, cafes and bars, thereby offering companies an opportunity to expose consumers to their products, extending brand loyalty while harvesting increased market share. Provide a natural product that is kept safe with closed-loop packaging, featuring a range of performance films and fitments. Maximize profit for your customers, with economic packaging that works consistently within product dispensers for an evacuation rate of over 99%, whilst also eliminating the need for expensive cold chain logistics. Save money across the value chain with aseptic, shelf-stable products. Consistently satisfy consumers with fresh tasting drinks. Streamline on-premise logistics by dispensing from high-barrier bulk packaging. Expose your brand to more people in more places with a carryout tea and coffee program in restaurants, convenience stores, or grocery stores. Delight your customers with an on-tap tea or coffee experience that tastes great even after being opened for weeks. Meet market needs and club store size preferences with flexible packaging that is less restricted by size than other rigid alternatives such as jugs and bottles. Increase your selling price with all-natural, preservative-free, aseptically packaged products. Offer unparalleled storage convenience and portability with Bag-In-Box packaging. Serve customers faster with bulk packaging that reduces the number of times food prep professionals need to replace products or clean dispensers.